In my previous column, I suggested putting a slider keyboard on a tablet. 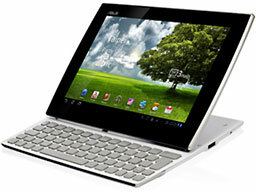 Alert reader Jacob J. Holtman points out that Asus makes just a beast, the Asus EedPad Slider SL101. Not to worry, though. I have something new to rant about. 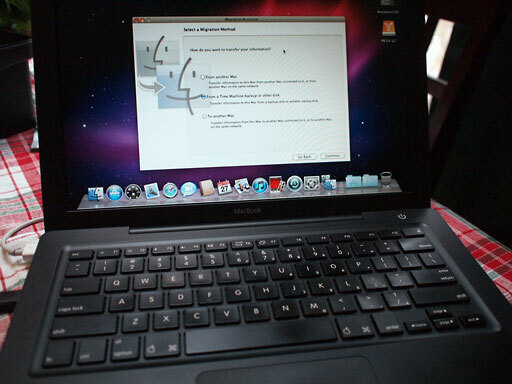 Yes, the requirements for OS X 10.8 Mountain Lion leave my new (to me) Black MacBook in the dust. My MacBook uses the Intel GMA 950 graphics processor, so Mountain Lion won’t work on it. John’s black MacBook, bought in December. When I decided (not that long ago) to move away from PowerPC chips and into the land of Intel, little did I know that Apple would render my computer obsolete just two months after I bought it. Sure, I could have bought the latest MacBook Air or MacBook Pro, but that is not how I roll. First of all, I don’t have the capital to buy a brand new Apple, and second, who is to say that a new Apple computer will support the next generation of OS X after Mountain Lion? This is simply more that a slippery slope, it’s a plunge off the cliff of planned obsolescence. What is happening in Apple land? I understand that Apple would leave PowerPC machines way behind. There’s a logic to that. Yes, leaving 32-bit machines behind with OS X 10.7 Lion – I get that. But I don’t understand the Lion to Mountain Lion barrier. It strikes me as unnecessary. I think we are seeing the price of all that success with the iPhone, iPod, and iPad. Apple is just not giving the computer line it’s full attention. Let’s face it, the mobile computing field is all about the latest thing. What should we do? I plan to stick my guns. If I can still use my Pismo PowerBook (with TenFourFox) after 12 years, I’ll see how long I can keep my MacBook relevant. And that’s where the community here at Low End Mac comes in. I wouldn’t have learned about TenFourFox if it were not for Low End Mac. So even if Apple isn’t going support my not-so-old Mac, we users will.